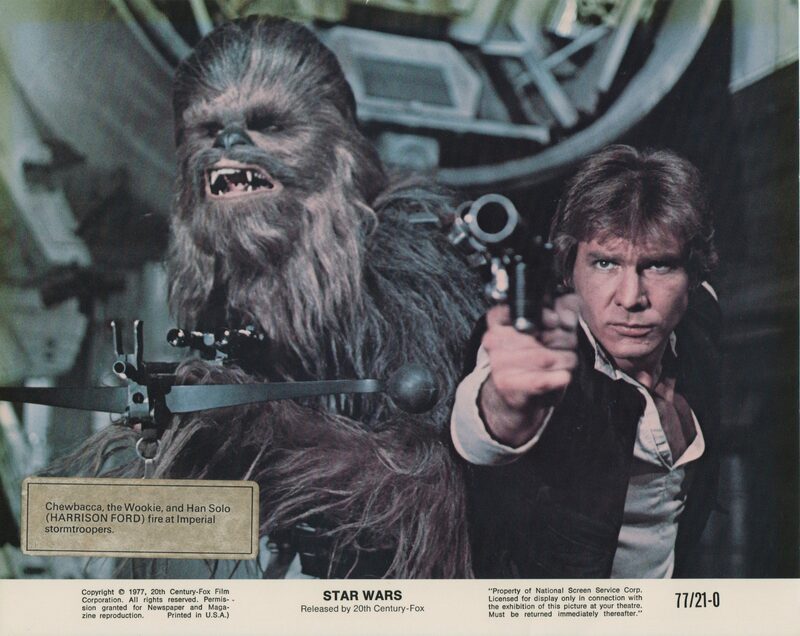 Star Wars (later retitled Star Wars: Episode IV – A New Hope) is a 1977 film written and directed by George Lucas. The first installment in the Star Wars film series, it stars Mark Hamill, Harrison Ford, Carrie Fisher, Peter Cushing, and Alec Guinness. David Prowse, James Earl Jones, Anthony Daniels, Kenny Baker, and Peter Mayhew co-star in supporting roles. 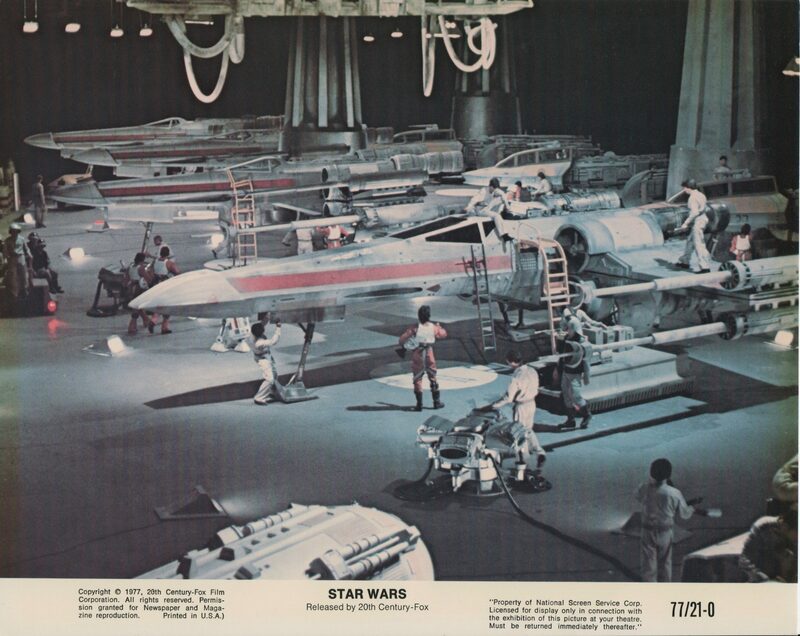 Star Wars was released theatrically in the United States on May 25, 1977. It earned $461 million in the U.S. and $314 million overseas, totalling $775 million. It surpassed Jaws (1975) to become the highest-grossing film of all time until the release of E.T. the Extra-Terrestrial (1982). When adjusted for inflation, Star Wars is the second-highest-grossing film in North America and the third-highest-grossing film in the world. It received ten Academy Award nominations (including Best Picture), winning seven. It was selected in 1989 to become part of the U.S. Library of Congress’ National Film Registry as “culturally, historically, or aesthetically significant”, and its soundtrack was added to the U.S. National Recording Registry in 2004. Today, it is often regarded as one of the best films of all time, as well as one of the most important films in the history of motion pictures. It launched an industry of tie-in products, including TV series spin-offs, novels, comic books, and video games, and merchandise including toys, games and clothing. 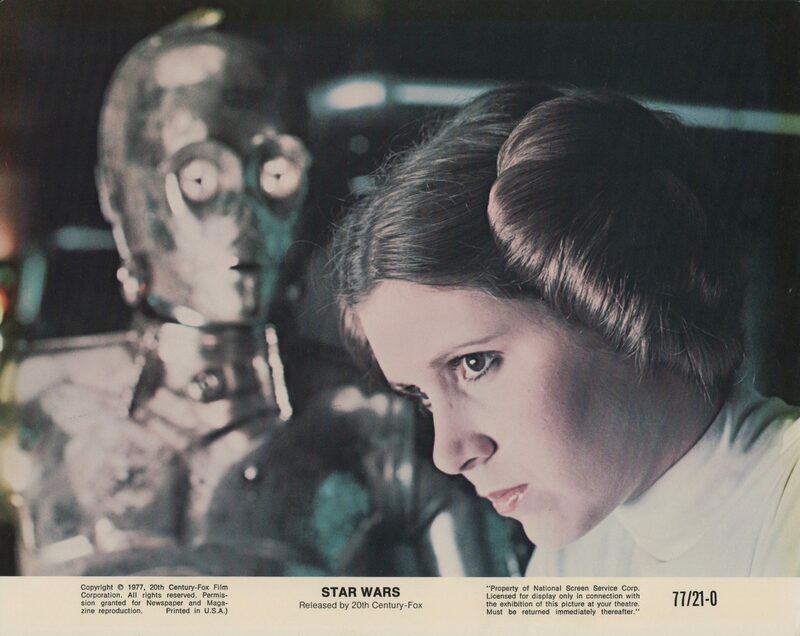 The film’s success led to two sequels, The Empire Strikes Back (1980) and Return of the Jedi (1983), both of which became critically and commercially successful. 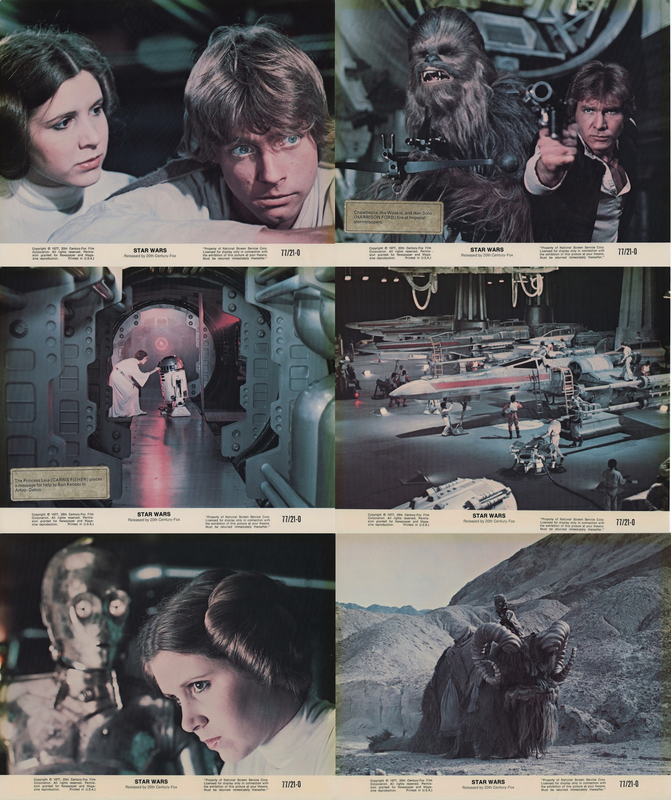 Star Wars was reissued multiple times at Lucas’ behest, incorporating many changes including modified computer-generated effects, altered dialogue, re-edited shots, remixed soundtracks, and added scenes. A prequel trilogy was released between 1999 and 2005, followed by a sequel trilogy beginning in 2015. In 2016, a standalone prequel set shortly before Star Wars, Rogue One, was released. Luke Skywalker stays with his foster aunt and uncle on a farm on Tatooine. He is desperate to get off this planet and get to the Academy like his friends, but his uncle needs him for the next harvest. Meanwhile, an evil emperor has taken over the galaxy and has constructed a formidable “Death Star” capable of destroying whole planets. 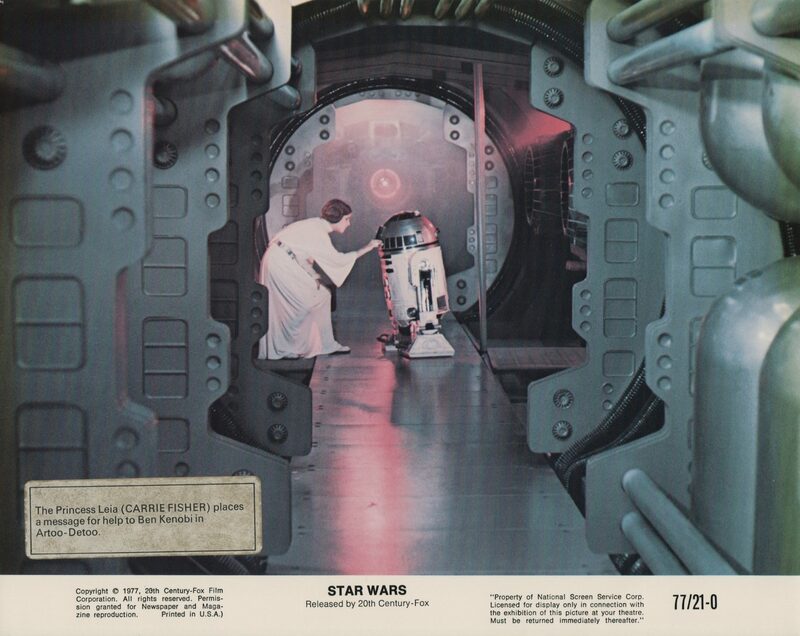 Princess Leia, a leader in the resistance movement, acquires plans of the Death Star, places them in R2-D2, a droid, and sends him off to find Obi-Wan Kenobi. Before he finds him, R2-D2 ends up on the Skywalker’s farm with his friend C-3PO. 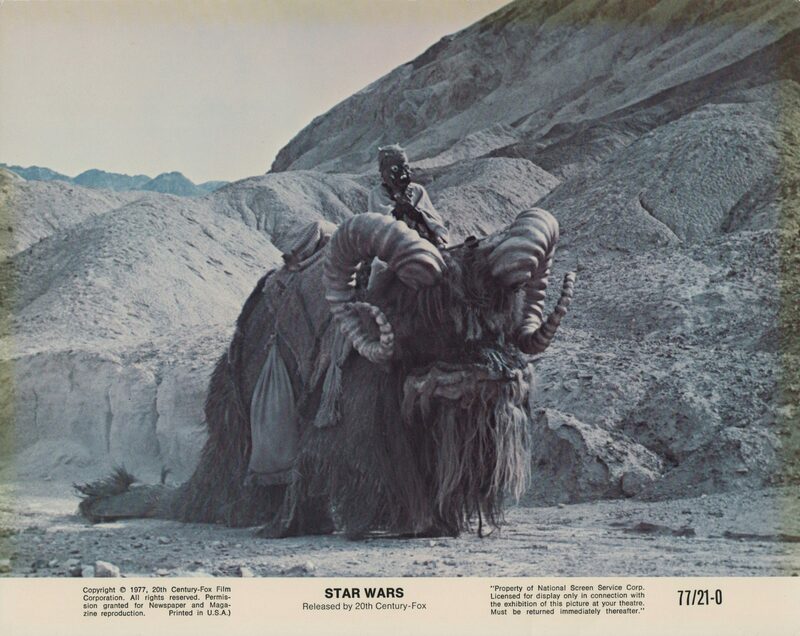 R2-D2 then wanders into the desert, and when Luke follows, they eventually come across Obi-Wan. Will Luke, Obi-Wan and the two droids be able to destroy the Death Star, or will the Emperor rule forever?